I am hoping this game has a prequel (ed: IT DOES) or sequel - lots of fun levels, and heaps of variety! Ellie must work her way up the restaurant ladder by serving great food and drinks while keeping customers happy and healthy. 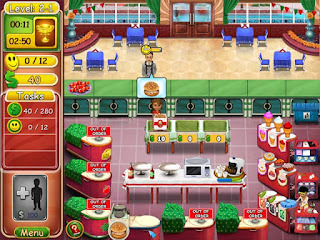 Help Ellie defeat the greedy Mr. Gristleman and prove to the world that healthy food can be fun and delicious in this exciting time management game! 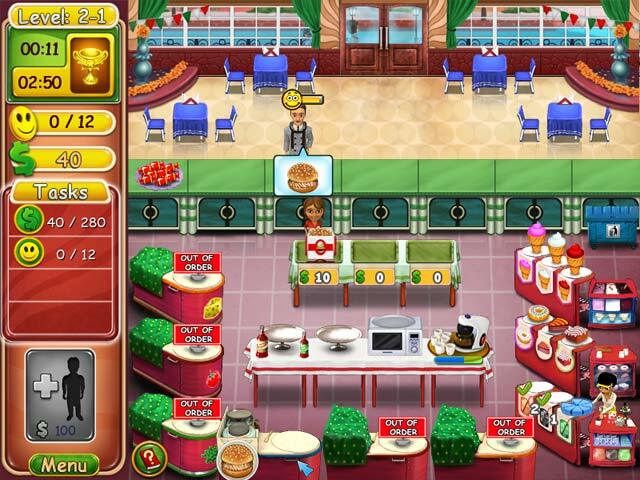 Fast-paced gameplay, Healthy and inventive food choices, Keep up with the burger bustle! Here is a list of all the Time Management Games I have played/reviewed, or, click the blogger tag below to load all the posts on Time Management Games.